As the second 2013 special session comes to an end on July 30, 2013, lawmakers will go home without having passed legislation to fund Texas roads and highways. On Monday, the Texas House rejected a measure that would have spent more on road construction and maintenance. If the proposal had passed, Texas roads and highways could have gotten an additional roughly $850 million a year. The measure failed to get the required 100 votes in the House. Now, lawmakers have their work cut out for them. "I think we’ve been trying to build a plan that recognizes there’s a need for infrastructure. 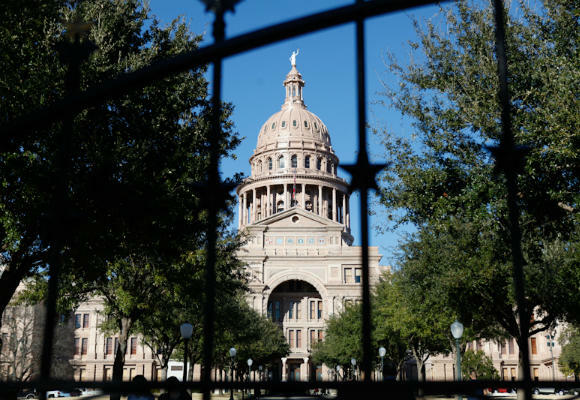 But we were 16 votes shy today on that bill so there’s some work to do to find out where those votes are going to come from," State Rep. Larry Gonzales, R-Round Rock, said. He voted in favor of the measure, but says he doesn’t begrudge any member his or her vote against it. Neither does State Representative Joe Pickett, D-El Paso. He’s the author of the original measure, House Joint Resolution 2. "I want to thank you. I think we have a lot ahead of us. I appreciate all of your thoughts and ideas. I have a feeling we’re going to hear many more of them," he said from the dais on the House floor. He also urged Gov. Rick Perry not to bring lawmakers back today for another 30-day special session, but to give them time...even till next spring. The conference committee report replaced HJR 2. It would have amended the constitution to redirect half of oil and gas tax revenues from the Rainy Day Fund to the state highway fund. But it lacked a so-called floor, or minimum amount of money in the Rainy Day Fund that would have to be met before any dollars could go to transportation. Many lawmakers demanded that minimum be in place to earn their vote. Because it would have allowed lawmakers who monitor the state budget as part of the Legislative Budget Board to decide the minimum necessary in the Rainy Day Fund every two years, Rep. Pickett said other House members had "fear of the unknown," since giving that extra authority to the LBB hasn't been done before. The current 30-day special session ends today. Gov. Perry promised to call lawmakers back if the measure failed. Expect to hear from him soon on whether and when the Legislature must come back for a fourth try at transportation funding.